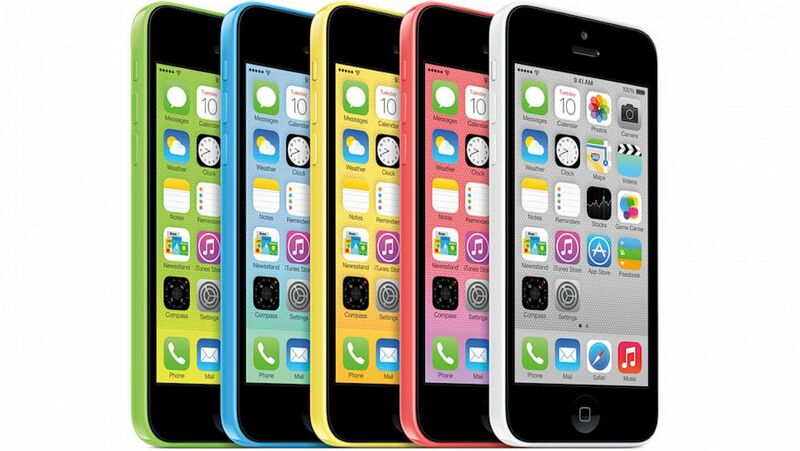 Ø§Ù„Ø±Ø¦ÙŠØ³ÙŠØ© / iPhone 5S / mobile / reading 5C colors / iPhone 5S with fingerprint reading 5C colors "Live Presentation"
iPhone 5S with fingerprint reading 5C colors "Live Presentation"
Here the presentation of Apple products in Cupertino, minute by minute. 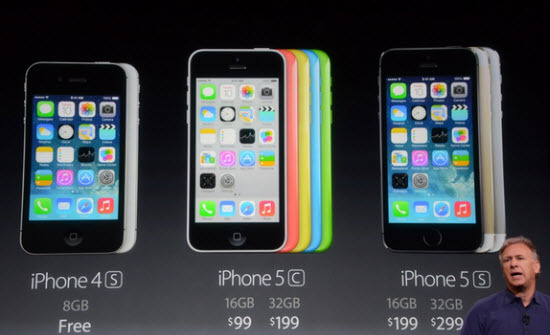 The color 5C iPhone and iPhone 5S. 18.00: First step: closing the online Apple Stores. Rideau. 7:00 p.m.: Al Gore, Jack Dorsey (Twitter) are among the guests. 19:01: Tim Cook takes the stage. Usual black outfit. The CEO starts on the 7th edition of iTunes festival hosted, among others, Lady Gaga. 20 million people worldwide have bought tickets for this festival in more than 100 countries. 7:05 p.m.: Promotional Video in honor of the festival. 7:08 p.m.: Tim Cook talks about the opening of a new Apple Store in the vicinity of the seat, at Stanford. 7:09 p.m.: The 700 millionth iOS device by running will be delivered next month. 7:10 p.m.: And he says it will soon be the most popular operating system (note: Windows about 1 billion today). 7:11 p.m.: Craig Federighi, head of software development back at the top new iOS7, including Safari and the interface to 3D. 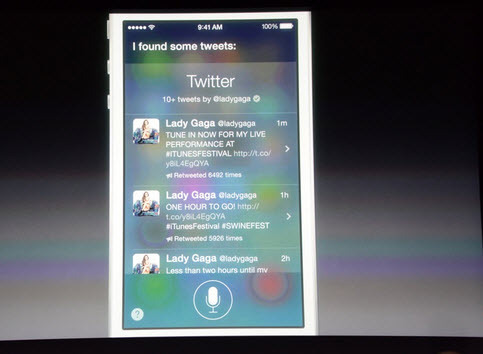 19:12: Demonstration of new opportunities for the voice assistant Siri. Always around Lady Gaga. 7:14 p.m.: Newsletters ringtones. For the moment it is very thin. 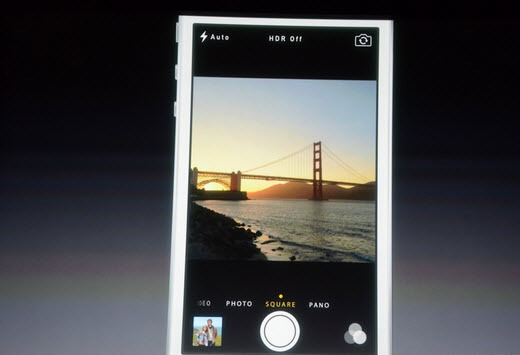 19:15: Demonstration of new features in the camera with the Instagram filters. 7:16 p.m.: Demonstration of ITune Radio that works a bit like Pandora with the possibility to create your own stations. 7:17 p.m.: In total more than 200 new features in iOS7 which will be available for iPhone and iPad on 18 September. 19:18 Back to Tim Cook who has presented the application of productivity "iWork" that works on iPhone 4 and later, and iPad 2 + iPad mini. 7:19 p.m.: Overview of iPhoto. 5 applications presented in iWork are free. 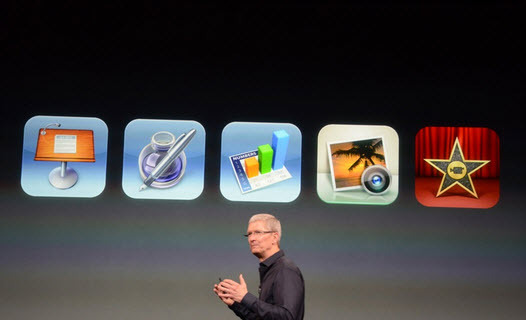 19:20: These 5 applis are: iPhoto, iMovie, Pages, Numbers and KeyNote. 7:21 p.m.: Back to the iPhone. Tim Cook said that the iPhone 5 has had the best results since the creation of the iPhone. he explained that in the past when a new model was introduced, the former saw its price drop. 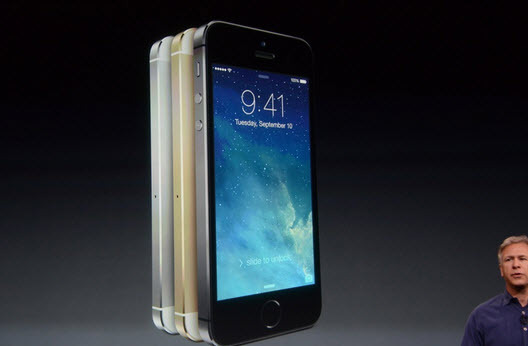 7:23 p.m.: This year the iPhone 5 will be replaced not by one but by two models. 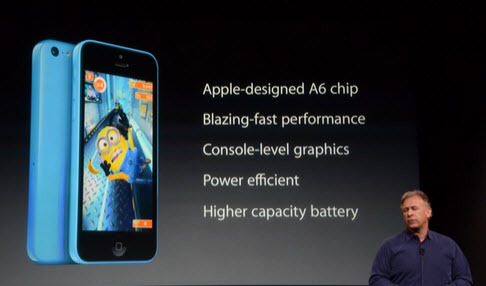 7:24 p.m.: Phil Schiller on stage presents iPhone 5C. 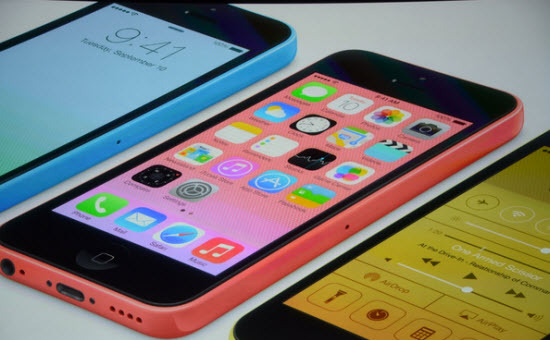 7:24 p.m.: It is designed with all the technology of the iPhone 5, says P. Schiller. 7:26 p.m.: 5 colors: green, white, blue, red and yellow. 7:27 p.m.: It looks like the plastic shells. Additional shells are available in polycarbonate. 4 inch Retina Display. 7:28 p.m.: Processor A6 for 5C iPhone as iPhone 5 photo 8 mega pixel camera. Bigger battery. 7:29 p.m.: New front camera. Extended 4G support. 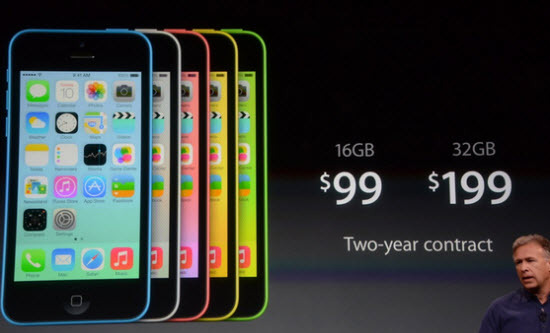 19:30: 99 $ for the 16GB and 199 $ for the 32GB with 2 year contract. The hulls are 29 $. 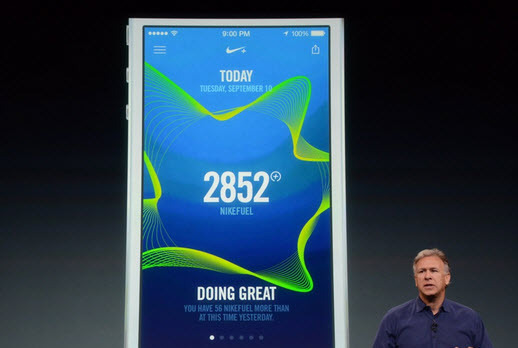 19:30: Jony Ive on stage boasts the beauty of plastic. 7:32 p.m.: Apple is happy. What a surprise! 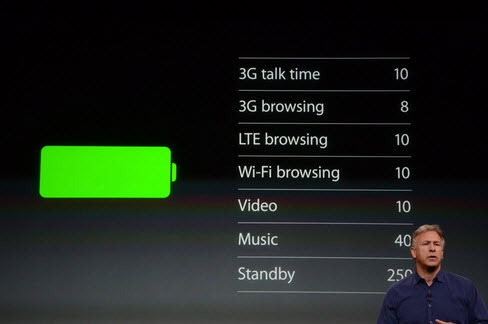 7:33 p.m.: Craig Federighi insists that the iPhone 5C over LTE bands than any other smartphone in the world. 7:35 p.m.: Phil Schiller is back on stage to introduce the iPhone 5S "the most successful phone ever made." Three colors including gold, as expected. Gold, Silver and Grey. 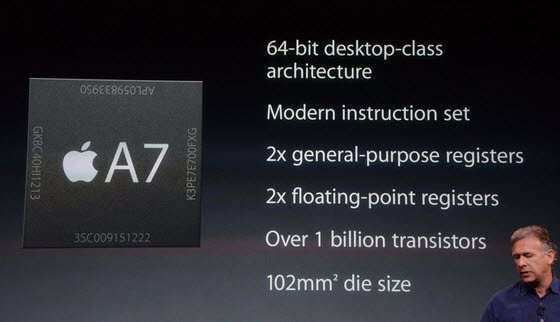 19:37: New A7 chip 64-bit, a first for a smartphone. The first and only smartphone currently equipped with this type of processor. 7:38 p.m.: More than 1 billion transistors. Applications running 32 and 64 bit. Rewriting embedded applications. 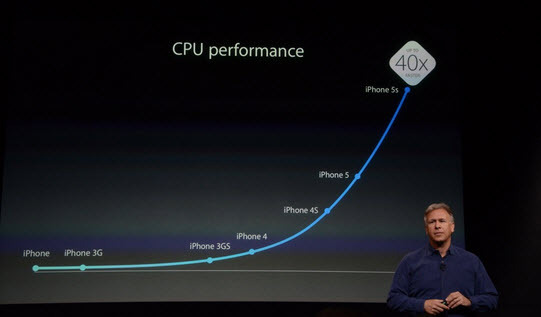 7:39 p.m.: 40 times faster than the first iPhone and 56 times for graphics. Difficult to see the improvement over the iPhone 5. 7:41 p.m.: 5 times faster than the previous model announced Schiller. 19:45: Integrating animation M7 processor in addition to the A7. New opportunities in applications of health or fitness. 7:46 p.m.: Identification of the user's movements. New application designed by Nike. 7:47 p.m.: improved autonomy. 10 hours 3G discussion. 250 hours standby. 40 hours for music. 7:48 p.m.: Presentation of the new camera. 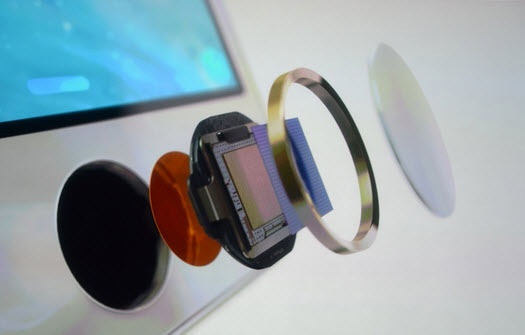 The sensor has an active area 15% larger. 7:49 p.m.: The pixels are larger: 1.5 microns. The proposed idea is that the larger pixels are better pictures and iOS 7 would benefit from these opportunities. To see. 7:50 p.m.: 15 Autofocus areas. Like the Nikon 1, it takes several photos and choose the best. 7:51 p.m.: The new flash has two LEDs: One is white, the other amber. The combination of the two can keep a good color balance. 19:52: Self-image stabilization. Operation burst at 10 frames a second. 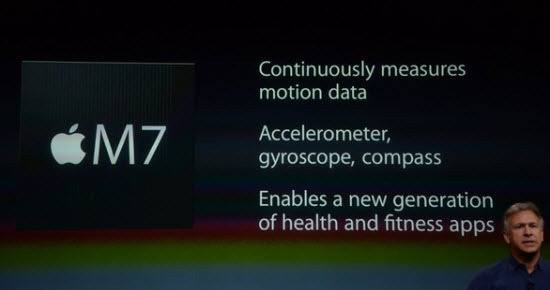 10:53: Slow Motion Mode for video with 120 frames per second in 720p. 7:55 p.m.: Demonstration of photos taken with the camera and guarantees without editing. 7:56 p.m.: Nouvveau panoramic fashion-iSight - which allows for 28 megapixels. 7:57 p.m.: Forward to safety. And the famous button. 7:57 p.m.: Phil Schiller explains that the most common method is to enter a password, indicating that half of the users do not use this feature. 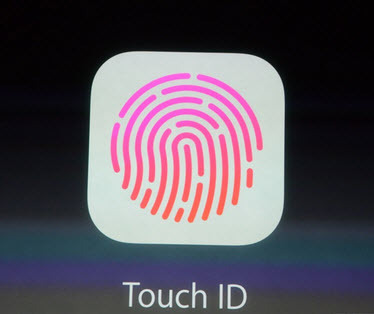 7:58 p.m.: Touch ID. This is the solution offered by Apple. The sensor is 170 microns. It offers a resolution of 500 dpi. 7:58 p.m.: It scans the inner layers of the epidermis. 7:59 p.m.: The button now has four layers to identify and start the unit. 20:00: You can use this feature for applications, eg to authenticate on iTunes. 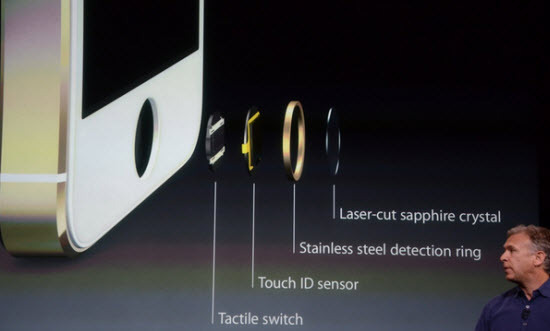 20:01: The sensor is able to recognize multiple fingerprints. 8:02 p.m.: Jony Ive said that the information is not accessible to other programs, they are not sent to Apple or stored in iCloud. 8:03 p.m.: The price starts at 199 $ for the 16GB, 299 $ for the 32GB, and 399 $ for the 64GB on the basis of a two-year contract. 8:04 p.m.: New covers for 39 dollars. 8:04 p.m.: The iPhone 4S is still the catalog. Free for a two-year contract. 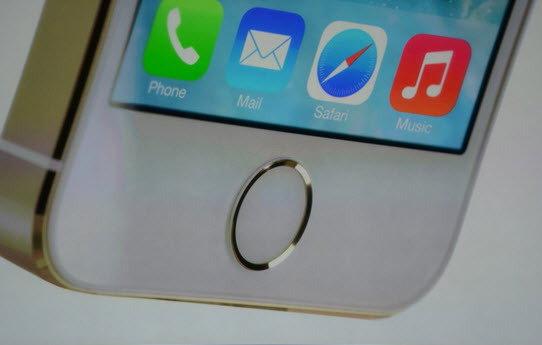 8:05 p.m.: Pre-Order iPhone 5S from 13 September. Availability within one week after several countries. 8:06 p.m.: Available in 100 countries and 270 operators here in December. 8:09 p.m.: After presenting some pubs, Tim Cook thanked the teams. 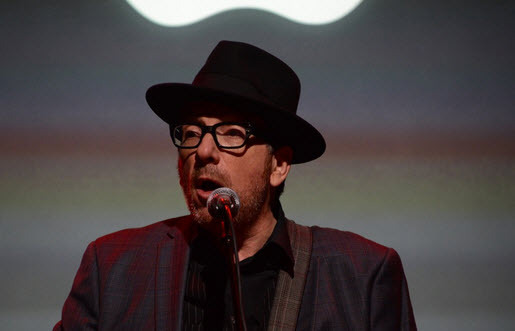 8:10 p.m.: Tim Cook said that Apple love music and welcomes Elvis Costello on stage. 8:11 p.m.: Meanwhile on Wall Street, investors do not seem happy. The action and could go down below 500 dollars. 8:12 p.m.: It is true that all this is not very surprising. A bigger screen would probably have to make a difference because the announced features are interesting but do not provide the famous WOW effect which some were used. 8:13 p.m.: For now, this is about as exciting as a game of the current football. 8:14 p.m.: It's very personal but for Costello family, we would have preferred the wife Diana Krall. 8:18 p.m.: The One More Thing is postponed to a later date. 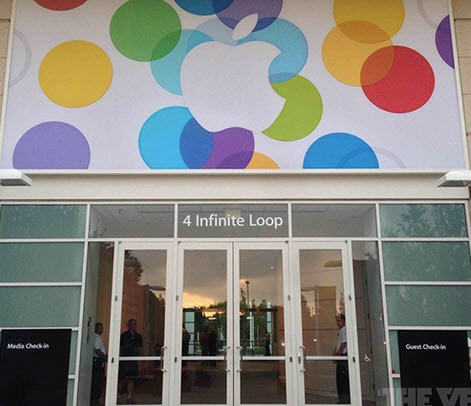 No new Macs, not Apple TV, or even less iWatch new iPad. 20:21 Elvis Costello made ​​his promo for a new album to come. 8:22 p.m.: By the Way. The Apple Store is reopened. 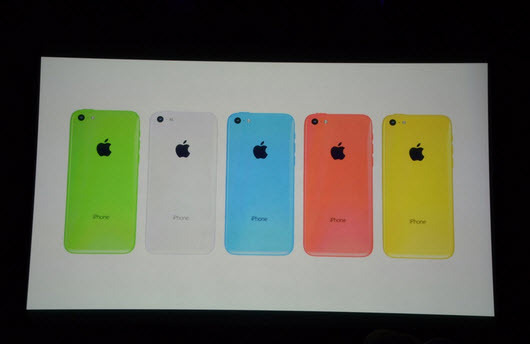 With the new iPhone 5C, 5S and shells. From 599 € for 5C, 699 € for 5S. compared with U.S. subsidized prices. 8:26 p.m.: Thank you all for joining us. Of course we will return in detail on all these announcements in future articles.